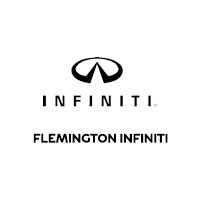 The new INFINITI lease specials and discounts on offer from Flemington INFINITI allow drivers from Bridgewater to enjoy an approachable price for a new luxury car or SUV. Explore these INFINITI lease deals and financing incentives before visiting our showroom near Scotch Plains. Why Turn to Flemington INFINITI for INFINITI Incentives? The experts at Flemington INFINITI offer low prices for new INFINITI models like the INFINITI QX50, and our sales department is happy to answer any questions you have. Our rotating INFINITI lease offers ensure that if you don’t find the model you’re looking for on sale now, it’s worth checking back soon. Contact us today with any questions or stop by our showroom near Bridgewater to see our inventory in person.